The current releases from Sandhill Wines illustrates how much the growing conditions can vary from vintage to vintage in the Okanagan. They also illustrate how skilfully winemaker Howard Soon and his vineyard team rise to whatever challenge or opportunity nature throws their way. The 2009 harvest was early, capping a hot year, and has yielded powerful reds. The 2010 and 2011 seasons both were late, producing lighter reds with more elegance than power. Here are Sandhill’s notes on those three vintages. By being able to hang the grapes late into October, Sandhill achieved good ripeness. Every wine has an alcohol of 13.5% or better except for the rosé and the Viognier, which are 12.5% and 12% respectively. Those are adequate numbers for the style of those wines. Howard Soon recently showed the Vancouver wine trade 11 Sandhill wines – mostly –premium Small Lot wines - from these three vintages. These are all single vineyard wines; that has been the Sandhill philosophy from the beginning. It allows Howard to explore terroir. It also gives Sandhill a point of difference in the market. The disadvantage, perhaps, is that Howard does not have the option of region-wide blending. In an area like the Okanagan, some winemakers blend to strengthen wines when a certain region comes up a little short, as may happen from year to year. Howard and his team need to get it right in the first place. But also note how effectively he blends small percentages of other varieties, all from the same vineyard, into most of his wines. He is taking advantage of flavour and maturity differences that occur even among blocks in the same vineyard. Here are my notes. Some of the volumes are given in barrels. As a rule of thumb, there are 25 cases of wine in a barrel. Sandhill Rosé 2011 Sandhill Estate Vineyard ($17.99 for 396 cases). There are four varietals in this: Gamay Noir (41%), Cabernet Franc (31%), Sangiovese (21%) and Barbera (7%). The grapes were cold-soaked about four days and then 10% of the juice was drained off (the French call this saignée). There are two advantages to this method of making rosé. It produces a beautifully coloured rosé brimming with flavour and complexity; and it improves the concentration of red wines that were made from those four varietals as well. It was a clever way of getting the best from the red grapes in the 2011 vintage. The rosé, fermented cool in stainless steel like a white wine, has a dramatic cranberry hue, with flavours of raspberry and cherry and even red liquorice. The wine is crisp and dry, with the weight of an all-season wine. Try it with turkey this Christmas. 90. Sandhill Viognier 2011 Osprey Ridge Vineyard ($28 for 1,102 cases). This wine begins with appealing aromatics – apricot, peach, pineapple and citrus fruits. That fruit basket carries through to the palate, along with apple favours and a tangy hint of lime on the refreshing finish. 90. Sandhill Single Block Chardonnay 2010 ($30 for eight barrels). The block referred to here is B11 on the Sandhill Estate Vineyard map. The vines were planted in 1997 in a hot spot below a 400-foot granite cliff. It sounds as if the block could produce a fat Chardonnay; but in a year like 2010, the result was a fresh and elegant Chardonnay. It begins with aromas of tangerine, butter, pineapple and what the winery’s notes call biscuit but I call bacon fat. It comes from the oak due to fermenting 60% of the juice in barrels. On the palate, there are flavours of citrus, apples and spicy but subtle oak. The finish is fresh, with lingering fruit. 91. Sandhill Sangiovese 2010 Sandhill Estate Vineyard ($30 for 21 barrels). There is 10% Barbera blended into this wine, presumably to give a little more flesh to the wine in a lean year. This is a medium-bodied red with cherry aromas and with spicy cherry flavours and a dry, almost dusty, finish. 89. Sandhill Barbera 2010 Sandhill Estate Vineyard ($30 for 17 barrels). There is 12% Merlot in this blend. The wine has a generous texture, with aromas of cherries and lingonberries. On the palate, there are juicy flavours of cherry and plum. 90. Both the Barbera and the Sangiovese were picked October 26 and 27, showing how late the 2010 vintage was. Sandhill Malbec 2010 Phantom Creek Vineyard ($35 for five barrels). There is 15% Cabernet Sauvignon in this blend. (The grapes were picked on October 22.) The wine begins with a dramatic bouquet of cherry, mulberry and blackberry, going on to flavours of plum and cherry and lingonberry, with a spicy finish. 90. Sandhill Petit Verdot 2010 Phantom Creek Vineyard ($30 for four barrels). There is 15% Cabernet Sauvignon in this blend. The wine is almost inky in colour, typical of Petit Verdot. It begins with intriguing aromas of plum, spice, black currant and chocolate. The wine is generous on the palate with delicious flavours of plum, blueberry, black cherry, chocolate and spice. 91. Sandhill One 2010 Phantom Creek Vineyard ($35 for 21 barrels). This is a blend of 54% Cabernet Sauvignon, 24% Malbec, 19% Petit Verdot and 3% Syrah. It begins with aromas of black currants and vanilla. On the palate, there is a medley of berry flavours along with vanilla and cedar. The finish is long, with berry flavours mingled with coffee and spice. 92. Sandhill Two 2010 Sandhill Estate Vineyard ($35 for 11 barrels). This is 46% Cabernet Sauvignon, 27% Merlot and 27% Cabernet Franc. There are aromas of black currants, tobacco and oak (the wine after all spent 20 months in barrel), leading to flavours of black cherries, prunes and vanilla, with ripe, earthy tannins. 90. Sandhill Three 2010 Sandhill Estate Vineyard ($35 for 11 barrels). The blend is 64% Sangiovese, 18% Barbera, 9% Merlot and 9% Cabernet Sauvignon. Think of this as Sandhill’s Tuscan blend. The wine begins with aromas of cherry, plum and spice. On the palate, the tannins add a dusty note to the light cherry flavours. The finish is spicy. 89. Sandhill Single Block Merlot 2009 Sandhill Estate Vineyard ($40 for five barrels). These grapes were harvested on September 28, so ripe that the wine has 15.5% alcohol. However, the flavours and textures are so rich that the alcohol is not obvious. The aromas are absolutely spectacular – plum, black cherry and vanilla. The palate is full and generous, with flavours of black cherry, chocolate and vanilla. The finish is long and satisfying. 92. While it is early yet to discuss the 2012 vintage, all the reports indicate that it turned out to be an excellent vintage, with no extremes of weather and with substantial crops of good fruit. There will be plenty of wine from the 2012 vintage and the quality should rival 2009. On its website, Blue Mountain Vineyard & Cellars has a neat wine finding tool: simply enter your postal code and up comes a list of every wine store and restaurant within 10 miles that has Blue Mountain wines. Well, in the old days, it was far harder to find the wines. Basically, you needed to be on the winery’s mailing list to order your allocation. After all, there were not a lot of wineries in the Okanagan and Blue Mountain, when it opened twenty years ago, was one of the five best wineries – if not the best. Since then, there has been a tenfold increase in winery numbers. Blue Mountain is still one of the best but it has a lot more competition. That is why Blue Mountain has made it easier to find its wines, including opening the winery’s tasting room without the necessity of making an appointment. The winery still has mailing lists and it is a good idea to be on them, especially if you want a place in line for the exceptional sparkling wines. But if you are not on the list, you can always try your luck at, say, Everything Wine. Blue Mountain recently invited some of the people on its list to a private tasting at the Vancouver Club. That was on the heels of showing its wines recently at Cornucopia in Whistler. Based on those events and other tasting opportunities, here are notes on the current releases. Even if some are sold out at the winery, those should be available in restaurants or private stores. Just enter your postal code on the winery’s web site. 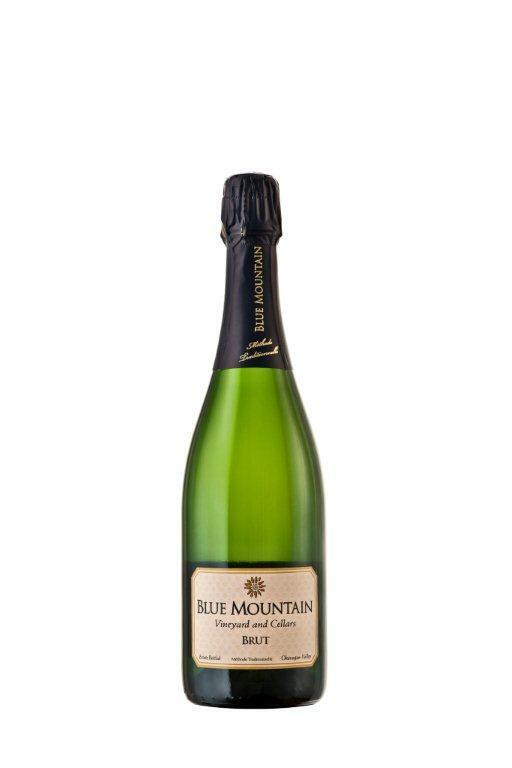 Blue Mountain Brut N.V. ($23.90). This cuvée is Pinot Noir, Chardonnay and a touch of Pinot Gris, all from the 2009 vintage. In the tradition of many sparking wines, the vintage is not shown on the label. The wine spent 24 months on the lees before being disgorged. The result is a complex and elegant wine with fine bubbles, toasty/bready aromas and crisp citrus notes on a very clean and refreshing palate. It more than holds its own against Champagne. 92. 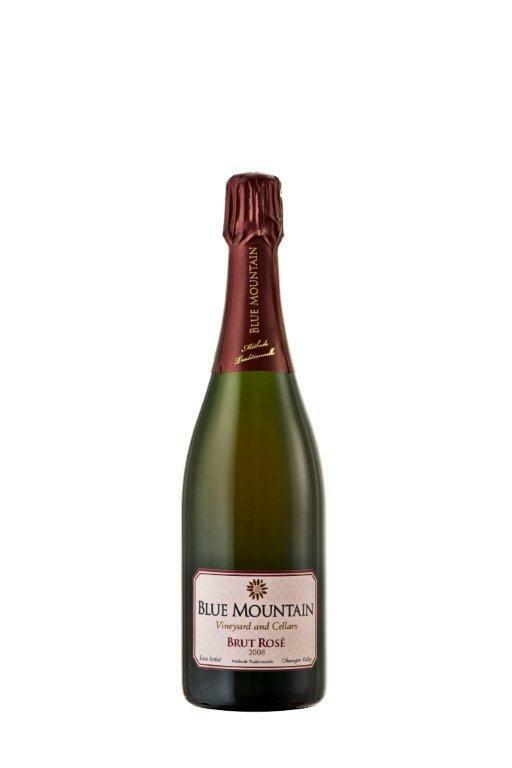 Blue Mountain Brut Rosé 2008 ($32.90). The cuvée is Pinot Noir and Chardonnay. The wine has a lovely rose petal hue and a delicate fruity aroma. On the creamy palate, there are delicate strawberry flavours. This is a delicious, crisp sparkling wine just looking for an elegant brunch. 92. Blue Mountain Blanc de Blancs 2006 R.D. ($39.90). This elegant and focussed wine has fine bubbles and complex aromas of bready lees and citrus. The flavours are delicately toasty, with a hint of citrus. The wine is crisp but the five or so years it was on the lees before being disgorged have softened the natural acidity. 92. Blue Mountain Reserve Brut 2005 R.D. ($39.90 but sold out). The cuvée is 60% Pinot Noir, 35% Chardonnay and 5% Pinot Gris. The wine spent six years on the lees before being disgorged in March. It has just been released and was gone in a flash, which is too bad. This wine, with its rich nutty and fruity flavours and its dry finish, reminded me of the style of Krug Champagne, which I happen to think is the world’s best Champagne. 94. 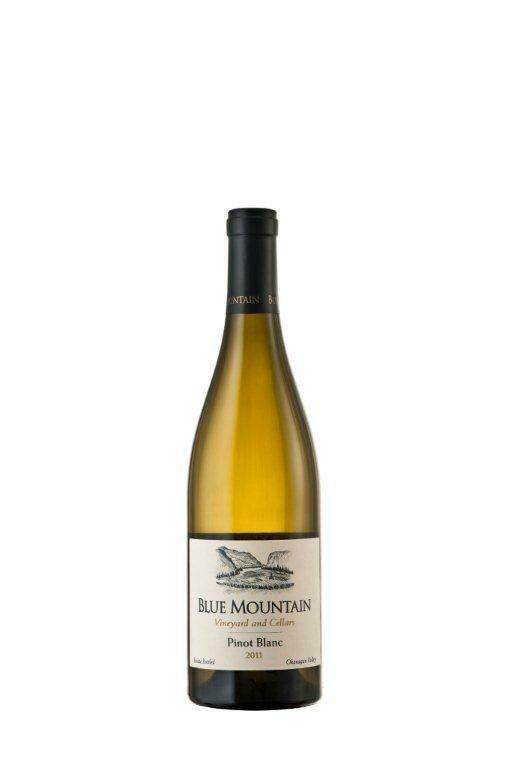 Blue Mountain Pinot Blanc 2011 ($17.90). This variety can be bland but not when Blue Mountain’s Matt Mavety is making the wine. About 30% is fermented in four-year-old oak barrels – barrels that are almost neutral in flavour but still enhance the texture of the wine. This Pinot Blanc is fresh and crisp, with classic apple flavours. It is full on the palate and has a long finish. 91. Blue Mountain Pinot Gris 2011 ($20.90). Blue Mountain raised the bar years ago with its Pinot Gris. This wine comes from the grapes of 24-year-old vines and that shows in the concentration of flavours. It begins with aromas of spicy citrus fruits with toasty note, probably because a third of the wine was fermented in barrels and left sur-lie for six months, with minimum battonage. On the palate, there are flavours of pears, citrus and spice. 92. Blue Mountain Stripe Label Pinot Gris 2009 ($25.90). Stripe Label is Blue Mountain’s designation for a reserve wine, representing select premium lots in each vintage. The wine has had more than two years of bottle age prior to release. That enables the wine to mature its rich and fruity aromas and flavours (ripe pears, spice and orange peel). 92. Blue Mountain Chardonnay 2011 ($20.90). This appealing wine recalls a young white Burgundy, suggesting it will age to rich elegance in a few years. The aromas show slight hints of lees, oak and citrus; the citrus flavours are rich on the palate. The wine is youthfully vibrant with bright acidity. 91. Blue Mountain Stripe Label Chardonnay 2009 ($25.90 but sold out). This wine, 55% of which was barrel-fermented, has developed a creamy elegance with aromas and flavours of tangerine and toast. 92. Blue Mountain Sauvignon Blanc 2011 ($18.90). This is Blue Mountain’s third vintage from vines planted five years ago. The wine is crisp and lean, with herbal aromas and with herbal and citrus flavours. 90. Blue Mountain Gamay Noir 2011 ($20.90). This is a bit of a brooding red with spicy berry aromas and with flavours of earthy black cherry. It seems to be the concentrated texture that gives the wine such a studious personality. 87. Blue Mountain Stripe Label Pinot Noir 2009 ($35.90 but sold out). Subtle and elegant, this wine begins with aromas of spice and strawberries, leading to flavours of cherry with a touch of raspberry and mocha. The wine has developed the classic silky texture of the variety. Hester Creek Estate Winery’s The Judge 2009, its $45 limited production Meritage, led the field in the fifth annual BC Iconic Reds Tasting. This is a crowning achievement for a winery that emerged from bankruptcy in 2004 and in eight years has become one of the Okanagan’s top wineries. The Iconic Reds Tasting is organized by SIP Wines, a VQA wine store in Richmond. Because of the demand for tickets to the evening-long tasting, the event is now held in a spacious room at Richmond Golf and Country Club. This year, the 100 or so participants tasted 20 exceptional wines before voting, by ballot, for their favourites. The wines, which had been double decanted, were all served blind so as to avoid the biases that come when one knows ahead of time which wine is which. The icon wines are the top wine or wines in each winery’s portfolio, usually selling between $40 and $60 a bottle (you will note a few exceptions). These are usually small lot wines – 200 to 500 cases – selected from the best barrels in the cellar each vintage. There is more prestige than profit in small lot wines. The prestige is important, of course. These wines signal to the market that the winery is serious about raising the bar. Consumers who won’t spend the big bucks for icon wines usually conclude - accurately, I believe, - that most of the other wines in the portfolio are made to rising levels of quality. Buy a bottle of Hester Creek’s Character Red for $20 and you will understand. Some of the icon wines are made in commercial volumes, which I would define as more than 1,000 cases. These include Osoyoos Larose Le Grand Vin, Black Hills Nota Bene, Laughing Stock Portfolio and Painted Rock Red Icon. I believe the Mission Hill icons also are produced in greater than small lot volumes but the winery does not always disclose production volumes. The Okanagan is likely to be taken more seriously on the global scene when some producers make significant quantities of their best wines and sell them nationally or internationally. These wines may seem expensive in the context of the B.C. market, where the average price of a VQA wine is $18. However, on the international market, our icon wines are fairly priced for their quality. The list below begins with the six top wines as chosen by the tasters. The remaining wines are listed alphabetically because SIP’s backroom boys did not crunch the numbers for all 20. Judging from my own scores, you would be happy with any of these wines on your table. Limited quantities of some of these wines can be purchased at the SIP. I have included winery tasting notes where available and added a few of my own. My comments: The power of this wine begins with the toasty, bacon fat aromas acquired from time in toasted barrels. Yet the concentrated fruit, with notes of black currant and vanilla, handles the oak well. This is bold, rich wine with a lot of personality. My comments: This was actually my favourite. Dark in colour, it has explosive aromas of chocolate, black cherries and vanilla. It is rich and generous on the palate with concentrated flavours of figs, black cherries, chocolate and vanilla. The finish is long and elegant. My comments: The wine has brambly and vibrant aromas and flavours of cherry and mint, with earthy tannins on the finish. My comments: This has appealing aromas of red fruit, spice and vanilla, with rich and lively flavours of black currant, cherry and vanilla. Next time I take a train …. My comments: It begins with aromas of spice, blackberry, black currant and dark cherry. It shows a rich texture with flavours of berries, plums, dark chocolate and vanilla. This is a wine with power and elegance. My comments: The Cabernet Sauvignon contributes a touch of mint to the aroma and flavour, complementing the cassis aroma. The wine has luscious flavours of black currant and plum, with long, ripe tannins. My comments: Generous in texture, the wine begins with aromas of vanilla and black cherry. On the palate, there are rich flavours of spice, plum, figs, dark chocolate and earthy tannins. My comments: The colour has taken on some hues of maturity. The wine begins with bright aromas of red berries and spice. On the palate, there are flavours os spicy berries, with notes of cedar and herbs. My comments: Clos Du Soleil is a past winner in the Icon tastings and showed well this year against increased competition. This wine begins with appealing brambly and mocha aromas. The first impression on the palate is of ageable firmness, behind which are bright flavours of blackberry, black currant, with tobacco and cedar on the finish. My comment: This was one of the most Bordelaise of wines in this tasting, with a youthful of greenness mingled with black currant aromas and flavours. I found the structure more firm than the winery’s notes but I also felt this has excellent cellaring potential. Fairview Cellars The Bear 2010 ($35). This is made with the five Bordeaux reds, with Cabernet Sauvignon anchoring the blend (at least 50%). The wine represents the best barrels in the winery’s cellar. My comments: Bill Eggert, the iconoclast who owns Fairview, is either too busy or too modest to publish tasting notes. This wine begins with aromas of oak and red fruit, leading to flavours of currants, lingonberries and blueberries. Gray Monk Odyssey Meritage 2009 ($34.99). This is a blend of about 56%, 35% Cabernet Sauvignon and 7% Cabernet Franc. I know it does quite add up but the winemaker was working from memory when he showed me the wine in 2011. It is Gray Monk’s first Meritage. My comments: These are my notes from tasting it on release: “It is a rich, generous wine with aromas of black currants, chocolate and vanilla and flavours of dark plum, figs and chocolate. The finish is long with earthy and smoky notes.” At the most recent tasting, I found the wine even more elegant with a year on bottle. La Stella Fortissimo Selezione de Famiglia 2009 ($35 for 367 cases). This is 67% Merlot, 20% Cabernet Sauvignon, 8% Sangiovese and 5% Cabernet Franc. My comments: Here are my notes from a tasting earlier this year: “This is a bold red with an appealing aroma of black currants and with brambly flavours of currants, plums and black berries. There is a lovely core of sweet fruit on the palate supported by ripe tannins.” At the Icon tasting, I also noted additional flavours of figs, coffee and dark chocolate; and a structure suggesting this is a candidate for several more years of cellaring. My comments: It begins with an exuberant brambly aroma of currants and blackberries mingling with cloves and spice. Generous on the palate, with long ripe tannins, the wine has flavours of black cherry, black currant, vanilla, mocha and spice. This is a complex and satisfying wine that is drinking well now but will age to greater complexity over the next five years. Mission Hill Compendium 2009 ($45). 40% Cabernet Sauvignon, 35% Merlot, 20% Cabernet Franc, 5% Petit Verdot. My comments: Mission Hill this year chose not to enter its $80 Oculus in the Icon tasting, offering instead its two little brothers. Well, not so little. They were among my top scoring wines. Compendium begins with an alluring aroma of blackberry with a twist of orange peel. On the fleshy palate, there are flavours of plum, currants, figs and chocolate with a touch of cedar and with long ripe tannins. Mission Hill Quatrain 2009 ($45). 35% Merlot, 30% Syrah, 20% Cabernet Sauvignon, 15% Cabernet Franc. My comments: There is an elusive floral and berry note on the nose, with a hint as well of vanilla and black cherry. The palate is generous, with flavours plum, prune, black currant and chocolate. There is a bit of a brooding personality here, likely reflecting the Syrah in the blend. My comments: The wine shows aromas of vanilla and cherry. I was also struck at the silky elegance of the texture which led me to conclude I was tasting a wine that had been longer in barrel and bottle. It is an appealing wine. My comments: There is a charming delicacy to the berry aromas and flavours of a wine which always has had an elegant Bordeaux styling. Summerhill OM Organic Meritage 2008 ($50 for 154 cases). This is a blend of 61% Cabernet Franc, 30% Cabernet Sauvignon and 9% Merlot. The wine was aged 30 months in French oak. Each bottle is individually numbered. These are the winery’s tasting notes: “Notes of blackberry, black cherry, plum, cedar box, vanilla and black pepper.” This wine is now sold out at the winery; the next planned release is from the 2010 vintage. My comment: The wine begins with the perfumed aromas of raspberry and plum, leading to flavours of currants, blackberries. There is spice and a touch of coffee on the finish. The texture is elegant and svelte. The judges in several recent wine competitions have been a little stingy with Tinhorn Creek’s newly released reds. In my view, these four are all gold medal wines. But the judges at the Canadian Wine Awards and the B.C. Wine Awards only awarded them silver and bronze medals. It could be that I have a generous palate. But it could also be that I took the time to taste these wines over two days, with the extra aeration that involved giving me a chance to gauge where these wines would go with a few years of aging. In every instance, the wines were richer and more satisfying on the second day. Now, wine competitions are necessarily a snapshot in time. I am not aware of any competition that even has the time to decant young reds. But consumers, if they don’t have the patience to age young reds, do have time to decant. That allows the aromas of young reds to open and the texture to become a little fleshier. Clearly, I am impressed with Tinhorn Creek’s latest quartet of reds. Three are Oldfield Series (reserve) wines from the marvellous 2009 vintage. And the one from the more challenging 2010 vintage also is more than satisfying. Tinhorn Creek is a familiar brand. The winery opened in 1995. Its wines can be found in most restaurants and wine stores, having gained a following because the quality is reliable and the prices are reasonable. Since there are far more Okanagan wineries today than when Tinhorn Creek was getting established, no doubt some of the winery’s earlier followers have been seduced by the competition. If that is so, you need to revisit Tinhorn Creek. It seems to me that the wines have become noticeably better during the past three or four vintages. The reason? There have been significant and positive changes in how Tinhorn Creek is growing its grapes. Good wine always begins in the vineyard. It shows in each of these four reds. The wines have more concentration and more length than I recall in earlier vintages (and I liked those wines, too). Note the alcohol levels, which show that the grapes were fully ripe before being picked. These are not unusual alcohol levels for the Okanagan, yet Okanagan reds seldom taste “hot” – as the jargon has it. Perhaps that is because the Okanagan’s good natural acidity helps balance wines which might taste hot in another region. Tinhorn Creek Merlot 2010 ($18.99). This is made with grapes from 17-year-old vines planted on Black Sage Road. 2010 was a cool vintage but the winery carried a moderate crop load and got the grapes good and ripe. This has a robust 14.8% alcohol, with the weight and concentration that easily carries the alcohol. It opens with aromas of cassis and blueberry, going on to bright berry flavours of currants and plum. 90. Tinhorn Creek Oldfield Series Merlot 2009 ($29.99). The Canadian rules state that a wine can carry a single variety on the label as long as at least 85% of the wine is comprised with that variety. Here, the blend is 87% Merlot, 11% Cabernet Franc and 2% Syrah; those additions clearly added complexity. A big, ripe wine with 15.3% alcohol, it was aged about 20 months in French oak barrels (a mix of new, one-year and two-year barrels). It was also bottle-aged about 14 months before release. In effect, the winery has begun to do some of the cellaring for its consumers. This wine is a powerhouse, with aromas and flavours of vanilla, black currant and figs. Everything about this wine was more powerful on the second day. Do yourself a favour and decant this wine. 91. Tinhorn Creek Oldfield Series 2Bench Red 2009 ($29.99). This is 45% Merlot, 30% Cabernet Sauvignon, 22% Cabernet Franc and 3% Petite Verdot. It also was aged about 20 months in a selection of French oak barrels and then another 14 months in bottle before release. With 14.3% alcohol, this is another big ripe red, beginning with aromas of spice, tobacco and black currant jam. On the palate, there are flavours of black currants, plums and figs, with an earthy note and a firm texture that becomes fleshy on the second day. The winery recommends drinking this within five to seven years. It is nowhere near its peak of potential yet. 92. Tinhorn Creek Oldfield Series Syrah 2009 ($34.99). The winery only began making Syrah a few vintages ago, but Tinhorn Creek really hits its stride with this vintage. This again was aged about 20 months in barrel and 14 months in bottle. In all of these wines, the use of oak is exemplary. The mix of new and used barrels means that oak flavours never override the fruit, even as the wine benefits from the slight oxygenation of time in barrel. This is a generous wine with 14.8% alcohol. It begins with aromas of black cherry, plum and pepper. On the palate, there are flavours of pepper, spice, plum, and fig with the variety’s characteristic gaminess. Tasty right from the bottle, it adds fleshiness overnight with breathing. 91. This quartet sings wonderful harmony. How do British Columbia wines stack up against the world? The British Columbia Wine Institute has begun sponsoring comparative tastings which let consumers reach their own conclusions. It is an interesting and worthwhile experience. The most recent such tasting was a well-attended seminar during the Cornucopia Wine and Food Celebration at Whistler. To remove any label bias that the tasters might have, the wines are always served blind. Tasters make their own notes; they guess which are the B.C. wines; and they vote for their favourites by show of hands. Only then are the identities of the wines revealed. The BCWI is trying to make the point that B.C. wines today compare well to the rest of the world, in quality and in price. The wineries here constantly have to deal with the complaint that B.C. wines are too expensive. The way to counter that is to taste B.C. wines blind against imports that are similarly priced (or more expensive). Then you discover that B.C. also delivers good value. To be fair, you could also skew the test by inserting some notoriously good value wines from Chile or Argentina. I suspect the Errazuriz Sauvignon Blanc at $13.99 would best any B.C. Sauvignon Blanc – and quite a few from New Zealand. But hardly anyone in B.C. or New Zealand has production costs as low as they are in Chile. While B.C. production costs are relatively high, the soils and climate of the Okanagan and the Similkameen are unique in the wine world. The terroir enables the wineries here to produce distinctive premium wines that are worth the price. Chardonnay comprised the first of four flights in the recent BCWI tasting: Heggies Eden Valley Chardonnay 2010 from Australia ($27.99); Chartron et Trebuchet Chapelle 2010 Pouilly-Fuissé from France ($32.98); Tantalus Vineyards Chardonnay 2010 ($29.90) and Quails’ Gate Stewart Family Reserve Chardonnay 2010 ($29.99). I scored the Quails’ Gate wine first, followed by Heggies, Tantalus and Charton et Trebuchet. The scores were close, although each wine is quite distinctive in personality. The second flight was Pinot Noir: Nk’Mip Cellars QwAM QwMT Pinot Noir 2010 ($29.90) and SpierHead Winery Pinot Noir 2010 ($17.90), both from the Okanagan; Whitehaven Greg Series Pinot Noir 2009 from New Zealand ($34.99); and Bouchard Père Chambolle Musigny 2009 from France ($61). The Nk’Mip Cellars and the Whitehaven wines were tied in my notes, followed by SpierHead, with the Burgundy in last place by slight margin. Consider the prices and ask yourself where the best value is among this foursome. The third flight was given over to Syrah: Quinta Ferreira 2010 Syrah ($29.90) and Thornhaven Syrah 2010 ($24.90), both from the Okanagan; and Torbreck Woodcutters Shiraz 2010 ($32.99) and Romain Duvernay Côte Rôtie from France ($64). This time my favourite was the French red but Quinta Ferreira and Torbreck were just a point back and Thornhaven a further point back. All of the wines are solid and the B.C. wines provide good value. The final flight was Meritage: Lake Breeze Vineyards Meritage 2010 ($19.90) and Painted Rock Red Icon 2009 ($55), both from B.C. ; and Duckhorn Vineyards Cabernet Sauvignon 2009 from Napa ($69.95); and Clos du Marquis 2008 Bordeaux from France ($78). For my palate, the Red Icon blew away the field while Lake Breeze tasted really good for the price. I would think BCWI made its point. From this tasting, I headed for the trade tasting and discovered more good value B.C. wines. Unfortunately, the trade tasting ended before I could explore all of the B.C. wines. Here are notes on wines that I liked. From Kalala Organic Estate Winery: Kalala is a West Kelowna winery marketing this brand, plus two others – 3Cru and Dostana – under the banner, Organic Estates of British Columbia. Obviously, the wines are all grown organically. Kalala Harmony White 2010 ($13.95). This white is a delicious blend of Pinot Gris, Riesling, Gewürztraminer and Auxerrois. The tropical fruit aromas explode from the glass, followed by luscious tropical flavours. The fruit is sweet on the palate but the finish is dry. 90. Kalala Pinot Noir 2010 ($18.95). The wine begins with raspberry and oak aromas, leading to flavours of raspberry and cherry. The texture is still a little firm; lay this wine down for a year and let it blossom. 88. 3Cru Wanderlust 2011 ($16.90). This is 75% unoaked Chardonnay, 15% Pinot Gris and 10% Sauvignon Blanc. There are herbal, citrus and melon aromas and flavours. The finish is crisp. 89. 3Cru Traveller 2009 ($16.90). This is a Meritage blend with a rich, juicy texture and aromas and flavours of plum and black currants. 89. Dostana Chardonnay 2010 ($18.90). This unoaked Chardonnay is crisply dry with appealing citrus aromas and flavours. 89. Dostana Merlot 2008 ($29.90). Finely concentrated, this wine spent 30 months aging in oak. However, this is not an oaky wine. The flavours are rich and figgy, with hints of black currant and cedar. The wine is still developing toward a peak that is a few years away. 88-90.
rtunately, there are no prices on the website and only two of the wines are listed in the Cornucopia tasting book even though several more were available at the trade tasting. Backyard Vineyards Pinot Gris 2011 ($13.99). The wine has crisp, fresh flavours of citrus and pear. 87. Backyard Vineyards Blanc de Noir Brut ($N.A.). The consulting winemaker here is Mark Wendenberg, an artist when it comes to making sparkling wine. This creamy but dry bubble has the classic toasty and bready flavours that derive from time aging on its fermentation lees. There are also fresh citrus flavours. 88. Backyard Vineyards Nosey Neighbour Red 2011 ($N.A.). This is a blend anchored around Zweigelt. It is a juicy textured red with jammy cherry and black currant flavours and with spicy blackberry on the finish. 88. Backyard Vineyards Cabernet Sauvignon 2010 ($19.99). This red is made with Okanagan grapes since the varietal would not ripen in the Fraser Valley. This Cabernet begins with aromas of mint, blueberry and vanilla. On the palate, the tannins are ripe but firm enough to allow some cellaring. There are flavours of black currant and vanilla. 87. Backyard Vineyards Black Sage Syrah 2010 ($24.99). Here is a wine with excellent varietal expression: white pepper, plum and black cherry aromas and flavours. It is a full bodied red. With breathing, the cherry flavours pop out vividly amid the pepper and vanilla notes. 90. Kettle Valley Sauvignon Blanc 2010 ($24). This style of this wine recalls Sancerre, with its intense and concentrated flavours and aromas of lime and herbs. This is a honeyed note on the finish but the wine is dry. 90. Kettle Valley Viognier 2011 ($26). This wine begins with an appealing aroma of pineapple and apricot. On the palate, there are flavours of stone fruit and citrus. There is good weight on the palate, along with a crisp finish. 90. Kettle Valley Pinot Noir 2009 ($26). This has hints of spice and strawberries on the aroma and the palate. The firm texture suggests that a few more years cellaring would allow this wine to really blossom. I once opened a 10-year-old Kettle Valley Pinot Noir that was at its glorious peak. 88-91. Kettle Valley Malbec 2009 ($38). This is a concentrated red that has a good seven to 10 years ahead of it. Now, it begins with spicy red berry aromas. On the palate, the flavours are almost brooding – fig, currants, spice and a touch of earthiness. 88-92. Kettle Valley Merlot 2008 ($26). Six years of age have enabled this wine to develop glorious aromas and flavours of cassis and blueberries. 90. Kettle Valley Old Main Red 2009 ($38). This is the winery’s flagship Bordeaux red, made with all five varietals. This is a complex and generous wine, with aromas of black currant and vanilla and with flavours of currants, plums, coffee and chocolate. 92. From Covert Farms Family Estate Winery at Oliver: This winery changed its name this year from Dunham and Froese but still has some wines under the previous label. The winemaker for the Dunham and Froese label was Kirby Froese, the former partner. Michael Bartier of Okanagan Crush Pad took over in the 2011 vintage and Bailey Williamson did the 2012 vintage. Covert Farms Rosé 2011 ($16.99). This is an unusual blend – Sauvignon Blanc, Roussanne, Viognier and Malbec. The colour presumably comes from the latter variety, along with notes of raspberry. The wine finishes crisply and is perhaps too dry. A few grams of residual sugar would have improved the charm that one looks for in rosé. 88. Covert Farms The Bluff 2010 ($25.99). This is 50% Cabernet Sauvignon, 40% Cabernet Franc and 10% Petit Verdot. It is a delicious red, with long ripe tannins and good concentration. There are hints of sage and mint on the nose, with flavours of black currants and chocolate. 91. Dunham and Froese Amicitia Red 2009 ($25.99). This red blend, put together by Kirby, is a juicy blend, tasting of plum and black cherry. The blend is 48% Cabernet Sauvignon, 20% Cabernet Franc, 12% Syrah, 9% Petit Verdot, 7% Malbec, 4% Merlot. 90. Dunham and Froese MDC 2009 ($25.99). This is 50% Cabernet Sauvignon, 25% each of Syrah and Zinfandel. The wine is a tribute to proprietor Gene Covert’s late father, Michael. It is a delicious red blend, bursting with cassis and blueberry. 90. Covert Farms MDC 2010 ($25.99). This is also 50% Cabernet Sauvignon, 25% each of Syrah and Zinfandel. This is another dark and brooding red with the spicy blackberry flavours of Zin lighting up the mid-palate. 88-90. Pentâge Pinot Gris 2011 ($17.50). This is an unusual but delicious take on this variety, beginning with an aroma recalling figs and honey. On the palate, there are flavours of citrus and pear. The finish is crisp and dry. 90. Pentâge 2007 Pentâge ($28). This is a complex five-variety red blend, with flavours of cherry and black currant. 89. Ex Nihilo Merlot 2008 ($34). This is an elegant and silky Merlot, with blueberry and blackberry aromas and flavours. 90. The fortunate few who attended the recent Angelo Gaja winemaker dinner in Vancouver (I was not among them) will be marvelling for some time about the amazing quality of this Italian master’s wines. At this year’s Cornucopia in Whistler, I encountered his Chardonnay. If I were scoring it for review, the Gaja ‘Gaia & Rey’ Chardonnay 2009 would score 100. This flawless wine, which retails for about $200 a bottle, was among a number of excellent wines served during a dinner at Araxi. The dinner was appropriately called Big Guns. Consider the other wines that were also served: Billecart-Salmon Brut Champagne; Casa Marin ‘Cipresses Vineyard’ Sauvignon Blanc 2011 from Chile; Louis Jadot ‘Corton-Pougets’ Grand Cru 1999 from Burgundy; Kosta Browne Pinot Noir 2010 from Sonoma; Antinori ‘Plan delle Vigne’ 2006 from Italy; and Fonseca Vintage 1985 Port from Portugal. The only one that let the side down was the Louis Jadot Burgundy. It had the classic barnyard aroma that Burgundy fanciers love but, at 13 years of age, the fruit is drying out faster than the tannins are softening. In any event, the wine was upstaged by the pungent trifles that had been shaved over the roasted saddle of rabbit. Samantha Rahn, the wine director at Araxi, and the chefs took special pains to pair the Gaja Chardonnay so that the power of the wine – which was double decanted in the afternoon – would neither diminish not overwhelm the accompanying food, smoked salmon in a shellfish broth. This particular Chardonnay is not currently on the list in the B.C. Liquor Distribution Branch. However, the LDB lists 18 other Gaja wines, most of them expensive reds, usually in limited quantity. The two largest listings by quantity are Barola Dagromis (500 bottles at $70 a bottle) and Brunello di Montalcino Pieve S Restituta (210 bottles at $73 a bottle). The Chardonnay was the first white wine released by the Gaja winery. The Gaia & Rey vineyard, which was planted in 1979, is named for Angelo’s oldest daughter, Gaia, who has been taking over management of the business from her 72-year-old father. The wine is all the more remarkable for being produced by a house that has long specialized in reds. Gaja is a legend in Piedmont winemaking. The premium commanded by the wines reflects his prestige – a prestige won by making wines that routinely score 90 plus by Robert Parker and other leading critics. I don’t hold myself out as a leading critic. I just know when I have had an exceptional wine. There is a well known marketing strategy among wineries that takes advantage of the psychology of consumers: crown the portfolio with an exceptional and expensive wine and its coat tails pull along everything else. I have seen this at work. Some years ago, when Sumac Ridge Estate Winery released a $50 red called Pinnacle, the wine did not sell well (and has since been dropped). But it did increase the sales of the winery’s $25 Meritage. It seems that consumers decided that if a wine was good enough to sell for $50, there was a better than even chance that the next one down in price also was pretty good. Now, I am not saying that Mission Hill Family Estate Winery is making an $80 Oculus just to sell its less expensive wines. Oculus, in fact, sells well enough that the winery is thinking of having an annual release event just at the winery. What I am saying is that those of us who can’t afford to buy in a high-priced neighbourhood are likely to buy as close to that neighbourhood as we can. When you scan the labels that come from the Mission Hill winery in West Kelowna, you discover that the winery has created many neighbourhoods, all of them appealing. The winery had many of its wines on display at a recent portfolio tasting. The wines commented on here, all of them VQA wines, are only a fraction of what comes from that cellar. It is not always obvious that some of these wines even come from the West Kelowna facility. Mission Hill has an associated company called Artisan Wine Company. The address on the labels of those wines is a postal code in Oliver. The Mission Hill and Artisan brands are kept strictly apart. This sometimes has hilarious results. The manager of a motel in Osoyoos complained to me this summer that he had driven all over Oliver in search of Wild Horse Canyon. He did not succeed, of course, because that is one of the many labels living in Artisan’s post office box. I don’t know how the marketers at Artisan and Mission Hill even keep things straight. Maybe it does not matter because there are good wines coming from West Kelowna and also from the post office box. Now, it is probable that there will be a second discreet winery address in the Oliver area associated with Mission Hill and Artisan. This summer, Mission Hill proprietor Anthony von Mandl bought the Antelope Ridge winery from the Combret family. He also bought a neighbouring vineyard. There was winemaking activity this fall at Antelope Ridge (formerly known as Domaine Combret). So far, there has been no definitive word on what the new name will be. This is an excellent winery location. The next door neighbours include Road 13 Vineyards, Hester Creek and Gehringer Brothers. Just above Antelope Ridge, Jackson-Triggs founder Don Triggs is completing his new estate winery, Culmina. It will open its tasting room next year. Here are my notes on Oculus and other wines in its extended family. Oculus 2009 ($80). This is the flagship red for Mission Hill and a must-have wine for anyone collecting iconic Okanagan reds. The blend for the 2009 is 50% Merlot, 30% Cabernet Sauvignon, 15% Cabernet Franc, 5% Petit Verdot. This wine manages to be bold and elegant at the same time, with flavours of black currant, blackberry, black cherry and chocolate; and with spice and red liquorice on a finish so persistent that you should use a stop watch to time it. This wine has all the richness and concentration of a great red vintage in the Okanagan. 94. The tier immediately below Oculus is called Legacy. Compendium 2009 ($45). This is 40% Cabernet Sauvignon, 35% Merlot, 20% Cabernet Franc, 5% Petit Verdot. Think of this as the wine to collect if Oculus is sold out because this also is very fine. Typical of the 2009 vintage, the wine is full-bodied with ripe flavours of black currants and plums and with an elegant texture. 91. Quatrain 2009 ($45). This is a blend anchored with Syrah and Merlot and filled out with Cabernet Sauvignon and Cabernet Franc. The Syrah contributes to a generous palate, with aromas and flavours of black cherry, plum and black currants. 90. Perpetua 2009 ($35). This is one of the most sophisticated Chardonnay wines in the Okanagan, with appealing buttery citrus notes on the aroma and the palate. The oak is very subtle, just framing fruit and the voluptuous texture. 91. The next tier down is called Special Lot Collection. Mission Hill 2011 Select Lot Collection Martin’s Lane Riesling ($21.99 but sold out). This outstanding Riesling has aromas of fresh lime that jump from the glass. On the palate, the concentration of flavours is remarkable – hints of lemon and lime wrapped around a mineral backbone. The trace of residual sweetness is balanced superbly with racy acidity. 92. Mission Hill 2010 Select Lot Collection Sauvignon Blanc ($21.99). The tropical fruit aromas are sweet but the wine is crisp and dry on the palate, with flavours of herbs and fresh apples. 90. Mission Hill 2009 Select Lot Collection Merlot ($30). Here is a ripe, juicy Merlot with a generous ladle of sweet berry and fruit flavours – plums, currants – on the palate. The finish, of course, is dry … and very long. 91. Mission Hill 2009 Select Lot Collection Syrah ($30). This big red begins with aromas of black cherry and plums; these carry through to the flavours, along with notes of pepper, dark chocolate and black liquorice. 90. The next tier down is called Reserve. Mission Hill 2011 Reserve Riesling ($16.99). This is a very good choice now that the Martin’s Lane Riesling is sold out. This displays similar aromas and flavours of tropical fruits and citrus, notably lime, with a finish that seems a little more crisp and dry. 90. Mission Hill 2011 Reserve Pinot Gris ($19.99). This wine begins with appealing aromas of pear and honeysuckle. On the palate, there are flavours of ripe pear and tangerine, with a lingering finish. 90. Mission Hill 2011 Reserve Sauvignon Blanc ($19.99). This wine begins with herbs and lime aromas. On the palate, there are flavours of lime and green apple with a subtle hint of oak. The finish is crisp and refreshing. 90. Mission Hill 2010 Reserve Cabernet Sauvignon ($24.99). This wine has the classic note of mint on the nose along with blackberry, and has flavours of black currants. The tannins are still firm, as one expects from a young but cellar worthy Cabernet. 89. Mission Hill 2009 Reserve Merlot ($24.99). This wine has a juicy but concentrated texture with flavours of black currant, blackberry and blueberry. The finish lingers. 90. There is a tier of wines made primarily for restaurants. Mission Hill Limited Edition Viognier 2011 ($15.99). This crisp, refreshing white with apricot and pineapple flavours has good weight on the palate. 90. Mission Hill Limited Edition Cabernet Shiraz 2010 ($19.99). This is a ripe and juicy blend with aromas and flavours of black currant, black cherry, chocolate, tobacco and cedar. 88. 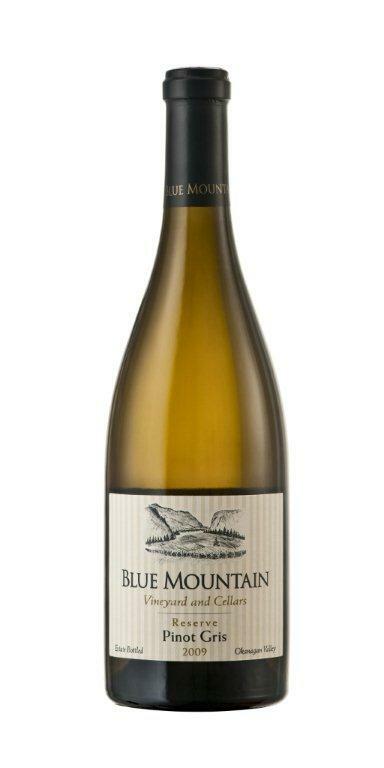 Red Barn Barn Owl White Chardonnay/Viognier 2011 ($17.99). The name comes from a red barn on Mission Hill’s vineyard on Black Sage Road. These two varieties blend well, give the wine aromas and flavours of citrus, pineapple and apricot. The Viognier always adds a light, defining spine of tannin to this crisp, dry white. 89. Red Barn Barn Owl Red 2010 ($17.99). This firm textured blend has flavours of black currant, coffee and dark chocolate. 88. The Mission Hill Five Vineyards tier is the winery’s affordable entry level tier. Mission Hill Five Vineyards Chardonnay 2011 ($14.99). Here is a very drinkable Chardonnay, especially at the price, that delivers fresh flavours of peach and lime and has a lively and refreshing finish. 88. Mission Hill Five Vineyards Rosé 2011 ($14.99). This is an easy quaffer with flavours of strawberry and cherry. 88. Other brands released under the Artisan Wine Co. umbrella are positioned as independent wineries. Rigamarole White 2011 ($14.99). This is a blend of Riesling, Gewürztraminer and Viognier, a clever combination of aromatic varieties with Viognier adding the backbone. 88. Rigamarole Rosé 2011 ($14.99). This is a Merlot-anchored blend, supported by Cabernet Franc and Shiraz. It has pleasantly jammy berry aromas and flavours of wild strawberry, with a dry finish. 87. Rigamarole Red 2010 ($14.99). This is an untraditional but effective blend of Cabernet Sauvignon, Gamay Noir, Pinot Noir and Merlot. It has spicy notes in the aroma, with flavours of black currant and cherry. There is even a hint of liquorice on the finish. 88. Ganton & Larsen Prospect Winery Council’s Punch Bowl Sauvignon Blanc 2011 ($12.99). Crisply fresh, this wine has herbal and citrus aromas and a refreshing note of lime on the palate. 88. Ganton & Larsen Prospect Winery Larch Tree Hill Riesling 2011 ($12.99). This wine is light and fresh, with citrus aromas and flavours and with a touch too much residual sweetness. 87. Ganton & Larsen Prospect Winery Ogopogo’s Lair Pinot Grigio 2011 ($14.99). This is a pleasant white with juicy flavours of apples, melons and citrus. 87. Ganton & Larsen Prospect Winery Townsend Jack Unoaked Chardonnay 2011 ($12.99). This wine is crisp and lean with aromas and flavours of apples and citrus. 87. Ganton & Larsen Prospect Winery Major Allen Merlot 2010 ($14.99). Soft in texture and juicy, this tastes of currants and blackberries. 88. Ganton & Larsen Prospect Winery Red Willow Shiraz 2009 ($16.99). This is a quaffable red with spicy and berry aromas and with flavours of spicy black cherry. 87. White Bear Pinot Blanc 2010 ($13.99). This is a solid example of how tasty unoaked Pinot Blanc is, delivering a mouth full of apple flavours. 88. This is one of four white wines under the White Bear label. The label is meant as a tribute to the Kermode or “Spirit Bear” of British Columbia’s Great Bear Rainforest. The wines are all similar in price and personality to the Prospect range.